My gloominess became double just now cz..after long chat about wanting a baby last night, just now I check..it is indeed a false alarm "T_T..
Then, I stumbled upon a blog by Nini (I guess that's her name;p). Oh yeah, she introduced hersef as 'the bubblyme" from here. She is looking for a material to do paper flowers. Suddenly I remembered that I have seen the paper flowers tu and intended to post it here to share with the other b2bs. Besides dustbins, scissor, towel, toothbrush..yadda2..which are listed in ur daily needs, hyakuen shop also sell the unthinkable stuff like this! Oh well, of course you are not at all near to my house. However, if you look closer to the instruction, it was actually just crepe paper folded into a fan..and kembang2 kan..cantula..hv to try n error..
dear, actually, i saw this kat dasio the curve last week. ada jugak. RM5. sama macam dalam pic. maybe they can get those from dasio. kedai jepun juge. hehee..
apa lagi ada jual kat kedai 100yen? boleh la kirim-kirim join. hehe. yes..daiso tu asal jepon..n they are kedai 100yen;) oh, alhamdulillah..ade kt mesia lg senang ye utk para b2b sekalian.. Wah!! tq dear! =D *senyum malu malu. hahhaa. nanti i try tgk kat the curve. I doakan both u and ur husband dpt baby. dont worry much dear.. insyaAllah. haha...d bubblyme..insyaAllah..thank u.i thought xde kt mesia..apparently ade..ur rezeki murah nmpknye;) gudluk in ur prep! laa sebulan ke? mak aih.. klu aku pun aku ingt betul² ada... really sorry to hear that darl... ko x buat home pregnancy test? ;( tumpang sedih... harapan mesti tinggi menggunung... next time maybe.. kita sama² doa utk each other.. i want a baby too..!! 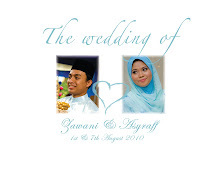 =) InsyaAllah...jgn stress2 about that sgt..that's d key..